Experienced supplier of sand and gravel, decorative gravel, plum slate, roadstone, top soil, road planings and crushed brick for Staffordshire and beyond. Established in 1998 David K Jeavons & Son Tipper Haulage Ltd. specialise in the fast and reliable delivery of all types of sand, gravel and aggregates to customers of all sizes and types including builders merchants and self build projects throughout the Staffordshire area. Cannock based David K Jeavons Haulage believe in delivering not only a complete range of sand, gravel and aggregate but customer service that will enable customers to be sure of smooth operations. David K Jeavons Haulage aim to maximise the efficiency and keep projects running smoothly by communicating delivery times with the quarry and the site and ensuring delivery is on site when required. 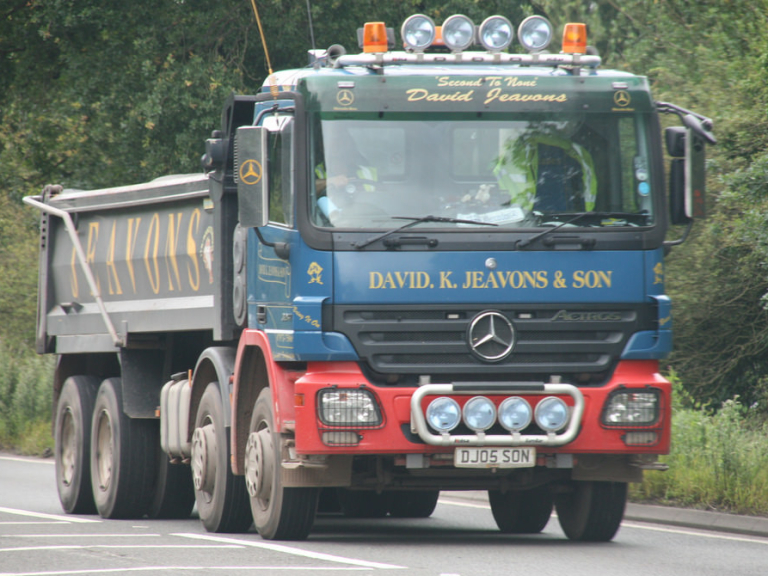 David K Jeavons & Son Tipper Haulage Ltd. have experience in the supply of materials for horse menages and also cater for large site clearances or self build jobs with a JCB available for domestic drive dig outs and alike. This friendly local company also work with block pavers in the Cannock and Staffordshire area to dig out old drives and deliver all required materials when convenient. Please mention thebestofcannock when contacting David K Jeavons & Son Tipper Haulage Ltd. for sand, gravel and aggregate supply and delivery.